8 cooking options in one fabulous pot, that’s the wonder of this large 8-in-1 slow cooker! Roast, steam, slow cook, deep-fry, grill and boil all in the same pot! 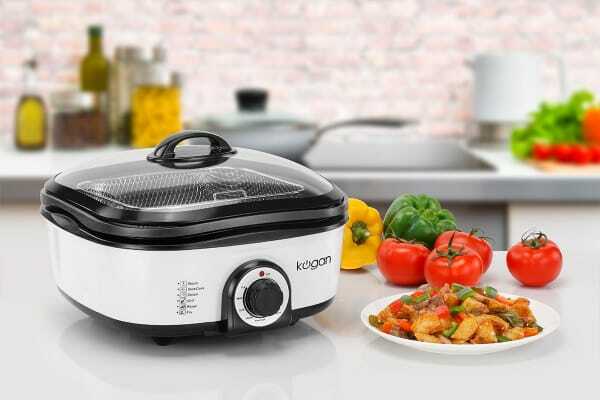 Save time, save energy, avoid the mess, and still get great tasting food with the Kogan 8-in-1 Multifunction Slow Cooker. No more labouring over pots and pans to create great tasting meals. All you need to do is add your ingredients and relax while this 8-in-1 multi-cooker does the rest for you. Slow cook your food without having to spend long hours turning the ladle. Simply set to Slow Cook in the morning before you leave home and come back to a delicious slow-cooked dinner. Or layer chicken and vegetables of your choice, add herbs and set to Steam for an all-in-one healthy Lunch! What’s more, you just have one pot to clean at the end of it all! Tempts you to throw parties! With so much that can be done with just a touch of a button, you’d be tempted to call friends over frequently. Deep fry safely and perfectly, steam to a delicious tenderness, or even use the Fondue option with some chocolate thrown in and served with fruit skewers. Your friends would certainly think you’re sweet! 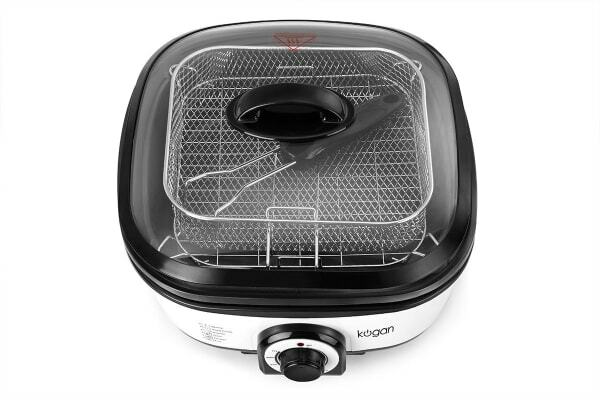 Lets you use less oil for healthier cooking. 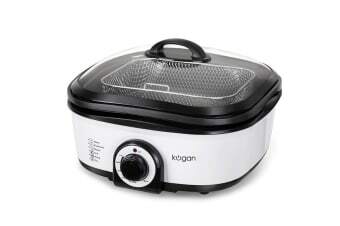 Excellent cooking functions and convenient use. Easy clean. Great size. Would have been 10 but NO instructions. It is a little bigger than I thought. It’s cool to use with multi function cooking.